Casting defect that may occur in all castings independently of the molding process and casting process as well as of the material. 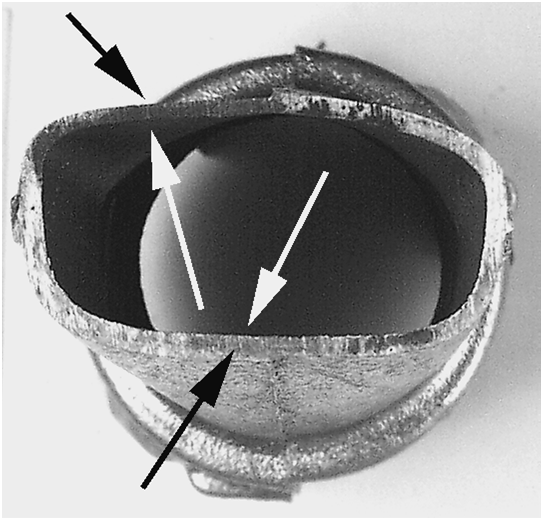 In this respect, the defect may occur in the shape or the core or as a combination of shape and core. Parting planes are particularly at risk. It is generally distinguished between cast offset, coreoffset and offset of the casting contour to the core contour. For castingoffset, the same dimensional offsets can be found in the parting plane of the pattern on both sides of the casting (figures 1 and 2). 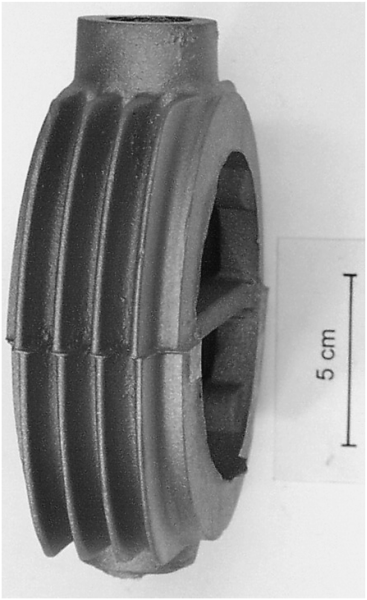 Both casting halves, formed by cope and drag, however, are contour and dimensionally accurate. The same applies for coreoffset. Here, the core shows offsets in the parting plane. In the offset between casting contour and core contour, the cavities in the casting that are formed by the core, have the correct dimensions. 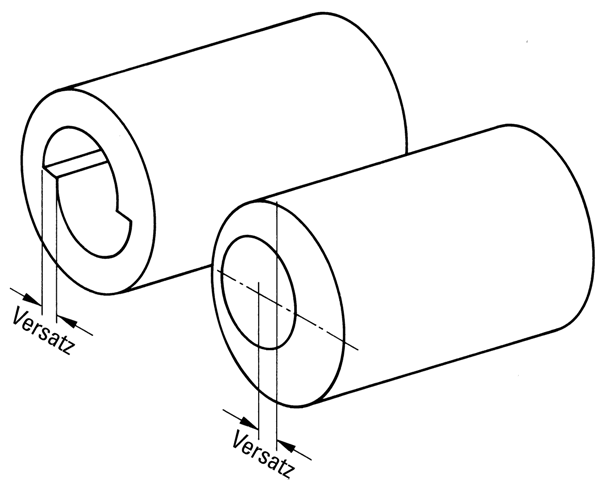 The core contours, however, show a positional deviation to the casting that is not accurate to the dimensions and the drawings (figures 3 and 4). The causes for castingoffset are often distorted mold boxes, incorrect pass dimensions of the mold boxes, worn centering or closing pins, offsetpattern halves for plate mounting (even offset in case of series production) or worn guide bushing in the mold boxes. Coreoffset can be caused by wear at the mold box, distortion of the mold box, damaged parting planes or potentially by too thick layers. If the core box opens during shooting at the parting plane, coreoffset can also occur. 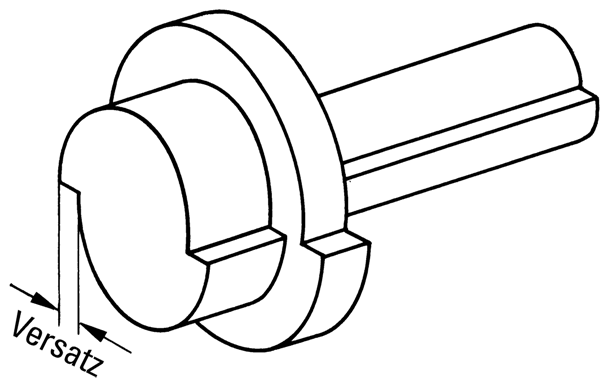 Offset between the casting contour and the core contour can have the following causes: The core prints of the pattern are too large, clearance when inserting the core, the core prints are insufficient to secure the core in its position due to the tilting moment (the core may tilt downwards or float), worn centering sleeves or dowels in the core box, offset bonded cores, use of the wrong adhesive that dissolve during casting.